Our bakery offers hundreds of shaped iced cookies and more than a dozen other flavors. Using only the highest quality ingredients, we mix, roll, cut, and decorate every cookie by hand. There are no preservatives and cookies are made fresh daily. 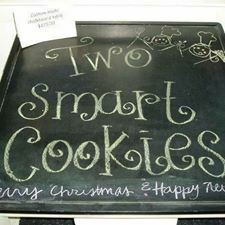 We believe that making cookies the old fashioned way is'¦smart!